Now that we’ve entered the final phase of this nation-defining election, average voters are getting schooled on just how “sold out” the news media are for Hillary Clinton. But there’s a larger and more influential battle raging that we must also recognize. As my party – the Democratic Party – joins with “the fourth estate” to blunt Donald Trump’s momentum, they’ll have a major additional force on their side: almost the entire popular culture. This creates a problem not only for Trump, but also for America’s political future. When the giant voice of the pop culture sides with a policy issue or a presidential candidate, a false political reality is created in two ways. First, because the uniform views of the opinion makers create an illusion that everyone in the country agrees about something – when they don’t. And second, because those opinion makers – from actors to pop celebrities to daytime TV hosts – may not, in fact, be telling the truth about what they believe. Their views could result from peer pressure or even fear of losing their job. This is a reasonable fear these days, since the PC left attacks dissenters. So, when we plug into the culture during the political season, we may actually be unplugging from anything resembling reality. All this is now playing a significant role in the 2016 election. We shouldn’t underestimate what Donald Trump is up against over the next several weeks. A storm is coming. Ironically, as I learned in film school, most people don’t grasp the culture’s power to persuade, nor recognize the techniques being used. Sure, we get that celebrities like Katy Perry are going to attach their brand to one liberal cause or another, most recently attempting to make “HRC” cool at the Democratic Convention. But at least the celebrity cross-branding technique is right up front; what they are doing is no secret. We see it used in product advertising all the time. The mass media culture is another matter. Because it is everywhere and “always on,” it comes across as actual reality (especially to the young). You can’t even watch sports these days without getting a political message. The culture’s relentless presence cannot be ignored, and neither can its power to mold national opinion – right when it’s time to vote. If you don’t think this kind of strategic mass manipulation is possible, you underestimate the voice of the media culture, including the monolithic views of the people behind it. It shows how media marketers studied millennial teens like lab rats, and then worked to mold their buying choices by building brand loyalty in subtle ways. To use Frontline’s example, one soda is pretty much the same as another, but if “Sprite” marketers can make their brand “cool,” they can motivate kids to drink it by the gallon. 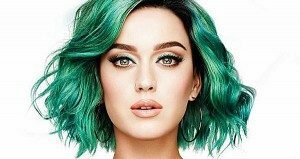 It’s not about a “sales pitch.” It’s about creating a full-immersion media environment so that the choice advertisers want you to make is the one they bond you to emotionally, using techniques less obvious than Katy Perry. Although billions of dollars are on the line in the fight for the teen market, when it comes to “political cool” the game is worth trillions. The fight for your political loyalty is loud and constant, but now that we’re in the “do or die” debate phase, the media culture’s cry for your attention will reach a high-pitched scream. I went to film school because I wanted the power that media offered in the arena of politics and social change. Simply put, I wanted to influence people on a mass scale – and so did my classmates. So imagine my surprise finding out that most people think movies are mere entertainment. At NYU graduate school, we knew better. As I describe the technique, you’ll realize you’ve seen it over and over again in both old movies and new. Here’s an exaggerated example. John loosens his tie. “Soon, Harry, I promise – soon.” He’s already watching a stunning beauty (Jane) who, standing nearby, has noticed him too. Her friend Susan pulls John away from Harry, saying, “John darling, there’s someone I want you to meet. Jane, this is the guy I’ve been telling you about.” Jane gives him a smile that would melt most men. “Hey, Johnny! I’m glad you made it.” Across the room comes a powerful-looking guy – the kind you don’t mess with. “We were starting to wonder. Wait, I’ll get you a drink – Everyone, this is John – John, this is everyone!” All laugh. He puts a drink in John’s hand. “Here, take mine – you’ve got some catching up to do.” Our hero smiles – he’s right at home – only 45 seconds into the party. OK. So, what have we learned here? Remember, it’s the very beginning of the story. The audience knows nothing about John. But in that one short scene we’ve learned a lot – by the comments and reactions of the people around John. He’s hardly said a word. That’s the trick – he doesn’t have to. In truth, all we’ve seen him do is walk into a party – but we think we know him. We think John is smart, sought after, fun to be around, catnip to women, and powerful with powerful friends – in a word, he’s “cool.” John hasn’t actually done anything – but we’ve been sold. Most of us attending a big party are just trying not to look stupid. But this is Hollywood, so creating a cool “reality” needs only a competent scriptwriter, some good actors and a savvy director. Guess what? The media culture has all of that and more. It’s scripted, acted and directed, from late night comedy to mainstream news – all selling a narrative just like in the movies! And all professionally promoted in every possible format. But beyond that, the culture has an army of fan promoters who make the media’s marketing strategies their very own. Working day and night on endless social media platforms, these “pop zombies” pump out the current “agenda narrative,” whether it’s a favorite movie or the latest pop star rage. It’s a hive of “pop reality,” well described in another Frontline documentary – “Generation Like” (2014). The overall combination of media outlets can create a massive voice of cultural approval (holiday shopping spirit) or disapproval (terrorism). As such, it transfers easily to the political arena. The mass media culture doesn’t just tackle opponents; it can block for its chosen candidate or cause. So, it’s fair to ask what’s behind it all? Yes, clearly these days the agenda is “against Trump,” but it’s more than that. Right now, much is being written about the media culture’s growing partisan role in the political arena, including a Time cover story and more recently a New York Times column by Ross Douthat, who relates Donald Trump’s unusual success to the ongoing “spirit of political-cultural rebellion” in this country. In a revealing moment, CNN political commentator Sally Kohn (“How cool kids are voting in November”) goes even further. She defines the national political struggle as between “secular liberals and religious conservatives.” Evangelicals, are you listening? Fence-sitting independents and establishment Republicans should think about this too. In fact, I doubt most regular members of my own party realize that voting Democrat is siding with secularism, which after all, means rejecting the traditional American/Judeo-Christian worldview and everything that comes with it. Talk about fundamental transformation! It’s why I wrote “Fascism, corruption and my ‘Democratic’ Party” back in July of 2000 before that year’s desperate election. And why I wrote more recently, “Democrat voter strike: Change our party now.” Unless we Democrats vote against our “politically correct” secular leadership, our party will push America down an anti-Judeo-Christian path of self-destruction. Kohn, a liberal, claims that “cool kids” (read millennials) are on the side of secular liberalism. But I wonder if they really know that. More likely they’re just immersed in a PC world with no real choice in the matter. I also doubt members of the media culture have any real choice. Enter, the full PC media culture – the big voice of the secular left, from morning TV talk shows and late-night comedy shows to “60 Minutes” to “Saturday Night Live,” making the rest of us feel we’re alone in thinking America’s out of control. “Their weapons are parody and polemics, dripping with sarcasm and cheap-shot one-liners, video compilation reels and schoolyard taunts,” says Time’s recent cover story on “seriously partisan” late-night comedy shows. No kidding. But as “The Merchants of Cool” reminds us, there are people behind all this. And as I said earlier, people are weak and likely to succumb to peer pressure, especially when their jobs are on the line. So the next thing you know, you’re on camera saying “I’m with Her.” Not really, you just like being able to work in Hollywood. Of course, your endorsement looks great on TV – and no one will know your heart wasn’t in it. This peer pressure/intimidation makes it hard for average voters to know what’s real in the media culture and what’s “fantasy politics.” I’m not sure the celebrities know either. Time quotes anti-Trump late-night comics as being grateful for the freedom they have to be partisan, but it isn’t really freedom. If they decided to attack the core tenets of PCism, they’d soon feel a yank on their corporate leash. That was right before academic PC rose to political power with the Clintons in 1993. Now it’s everyone’s problem. The question is, can we break free? Can America reclaim its cultural/political “In God We Trust” roots, which made us the greatest constitutional republic in history? Sounds like “the greatest generation” talking. And if Trump wins, the executive branch could cease being the enforcing arm of PC power. Then PC’s oppressive hold over the American people would start to break. Kohn says this “battle for the soul of the nation” started in the 1970s – I would say much earlier – but without question, after these many decades of America submitting to the “thought police,” the Trump “movement” might represent a genuine moment of awakening, even for older millennials who must be starting to suspect they’re not getting the whole truth. After all, when you have even a Washington Post columnist hysterically pushing Secretary Clinton on us by likening the GOP candidate to Hitler, then you know Americans can’t stay asleep too much longer. It’s like a bad salesman pressing too hard to sell a flawed product; the harder he pushes, the more we become suspicious. People may soon figure out that the media voice that mocked the great Ronald Reagan as a “dunce” (while he was winning the Cold War) and later portrayed George W. Bush as some sort of “frat boy” fool (while he was keeping America safe, and actually winning the Iraq War before Obama disastrously pulled our troops out) is also the same media voice at work today mocking Donald Trump – multiplied by many more outlets, devices and devotees. It’s like one giant, fantasy feedback loop: The mass media culture affects the polls, the polls affect the media, which feeds more into the polls until, as happened last August, the media scream was telling us the election was “over.” But did America listen? The August polls showed a widening Clinton lead, so it wasn’t looking good for Republicans. But by September the race evened out. Clinton’s convention polish was wearing off quickly with revelations about her influence-peddling foundation and her secret email server – and then there was the dissembling about her health. In what may end up being an iconic moment exposing news media duplicity, people could actually watch a 20-second cellphone video of Clinton’s Sept. 11 seizure-like collapse. Up to that point, as affirmed by New York Post columnist Michael Goodwin, the media had viciously attacked anyone who questioned the Clinton camp’s allergy excuse. So reality set in. But imagine that those few weeks of “fantasy politics” last August had come in early November. The election truly might have been over. All because voters were pressured by the full media culture to believe that nobody with a functional brain could ever possibly think Donald Trump was even remotely qualified to be president. This well-educated, best-selling author, builder of the Trump international brand, he who changed the New York skyline and built highly prized projects all over the country and the world – while raising great kids – was actually just a clown and a fool. How could we have missed that? This guy who for years and years was a respected celebrity businessman was suddenly a know-nothing, racist wingnut. Only fantasy politics and the collective media scream could achieve that – except they haven’t. Not yet. Of course, from now until Election Day, you’ll hear all of Trump’s flaws broadcast in the culture’s most hysterical voice: We’re all going to die if he gets elected. Sad to say, this won’t stop even if he does get elected. Forget a honeymoon period. What they are trying to do to Trump’s campaign they will try to do to his presidency. Meanwhile, with Secretary Clinton, the media voice is in full “selling cool” mode (which also won’t stop if she gets elected). Helped along by President Obama, the media voice tells us that Hillary is uniquely qualified. Indeed, Obama outlandishly declared, “I can say with confidence there has never been a man or a woman, not me, not Bill [Clinton], nobody more qualified than Hillary Clinton to serve as president of the United States of America.” Plugged into the media machine agenda, the “pop zombies” will think we’re just the luckiest of nations if she gets elected. This is she of the Benghazi scandal, who dithered while brave Americans died and then lied baldfaced to grieving Gold Star parents about the cause of the attack, while all along compromising national security doing State Department business on a private unsecured server – about which she also lied multiple times – and who was, to judge by results, arguably the worst secretary of state in modern times. What did the Clintons do with their two administrations? They left behind a country more damaged, more removed from its old, rough idealism; a country whose children live in a courser and more dangerous place; a country whose political life has been distorted and lowered. This is their legacy. This is the great work of Clintonism. They have lowered liberalism, undermining a great political tradition by persuading liberals to excuse and accept the corruption of the Clintons as the price of staying in power. Then Noonan, whose old-world, genteel charm can hide a good right hook, addresses the Clintons’ impact on American party politics. Sound familiar? Is this what we want? Is this the “right track” for America? Yet, if you believe the media minions, Hillary Clinton and her husband belong back in power because she is a national security wiz and the great advocate of Gold Star parents, truly the hope for womankind – and all of America. And Bill is going to fix the economy…which is not broken … because Obama’s been great … really. As I said, “selling cool” is a form of magic. But the mass media culture – and all the people behind it – will be working tirelessly to make it all seem real by Nov. 8. But most Americans aren’t fans of fantasy politics. They know something is terribly wrong – that this country is truly and dangerously on the wrong track. And that Hillary Clinton will not bring the change we need. In fact, she’s an enabler of our woes. So when the big voice of the media culture starts screaming about what we should believe, let’s hope we all turn it off – and listen to our own voice.